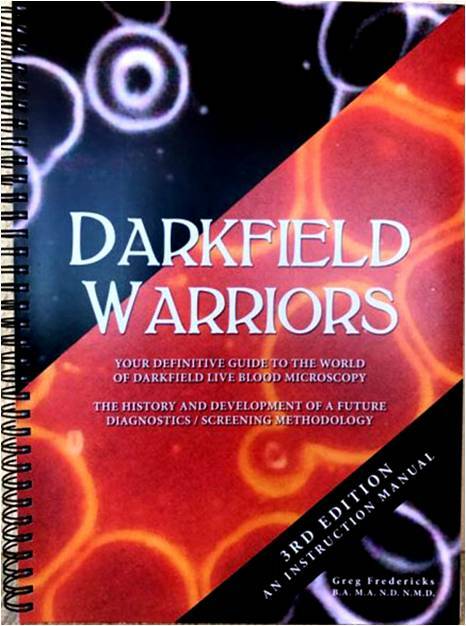 Darkfield Warriors 3rd Edition is your definitive guide to the world of Darkfield Live Blood Microscopy. Darkfield Warriors is the ultimate reference guide for those seeking information on Darkfield live blood analysis. This book discusses the history, controversy and future possibilities of this increasingly popular screening tool. This book was developed from multiple schools of interpretation including Metagenics, Enderlein, Coyle, Naessans, Bradford, and Blecker with references to Rife, Bechamp, Reich, and others. Darkfield Warriors 3rd Edition has doubled in information since the original publication in 1999 with over 100 glossy colour photos of different blood morphologies and many never before seen black and white photos. This book covers introductory to advanced methods and comes complete with an encyclopaedic reference glossary of blood anomalies. With very few books produced on the subject, Darkfield Warriors 3rd Edition is the most comprehensive information source in the world and an essential reference for the serious practitioner’s library.